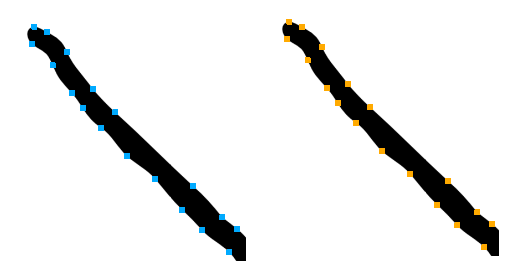 The Show Control Points option allows you to show or hide the Bezier points around lines. 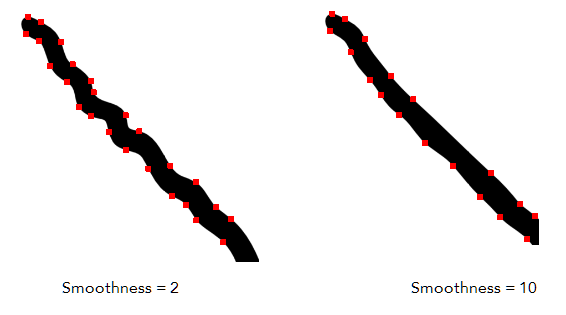 When the Bezier points are displayed, you can see the result of your smoothing and the number of points left on the curve. When it is turned off, only the original artwork is displayed. ‣ Maximum and Minimum Size: Defines the maximum and minimum width of the stroke. 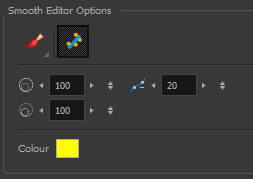 • Up/Down arrows: Use the up and down arrows to set the minimum and maximum size value.